Britons planning a ski holiday are advised to bypass Switzerland if they are budget conscious. 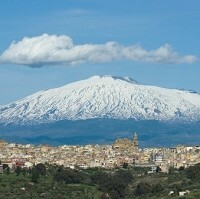 A survey of 43 ski resorts by TripAdvisor found that Sicily's Mount Etna is the best-value ski resort in Europe. In comparison, Swiss resorts made up five of the 10 most costly European resorts. The survey compared the total cost of a one-night stay in a hotel, a daily ski pass, the rental cost of ski equipment for one day and the cost of a meal and a beer at a local restaurant. The cost comparison did not include sports travel insurance. The total package at Mount Etna cost £98.40, while Bulgaria's Bansko resort cost £103.82 and Spain's Astun was £109.44, earning their places as the resorts with the next best-value. Germany was home to four of the best-value resorts, with Berchtesgaden, Garmisch-Partenkirchen, Oberstdorf and Spitzingsee. France's Meribel was the most expensive, costing as much as £354.91. Courchevel, also in France, was the second most costly at £354.06. Switzerland was the home to the next five most expensive ski resort destinations, which are St Moritz, Verbier, Gstaad, Zermatt and Klosters. "Skiing is often thought of as an expensive holiday, but our cost index shows that there are destinations where British travellers don't have to break the bank", said TripAdvisor spokeswoman Emma Shaw.